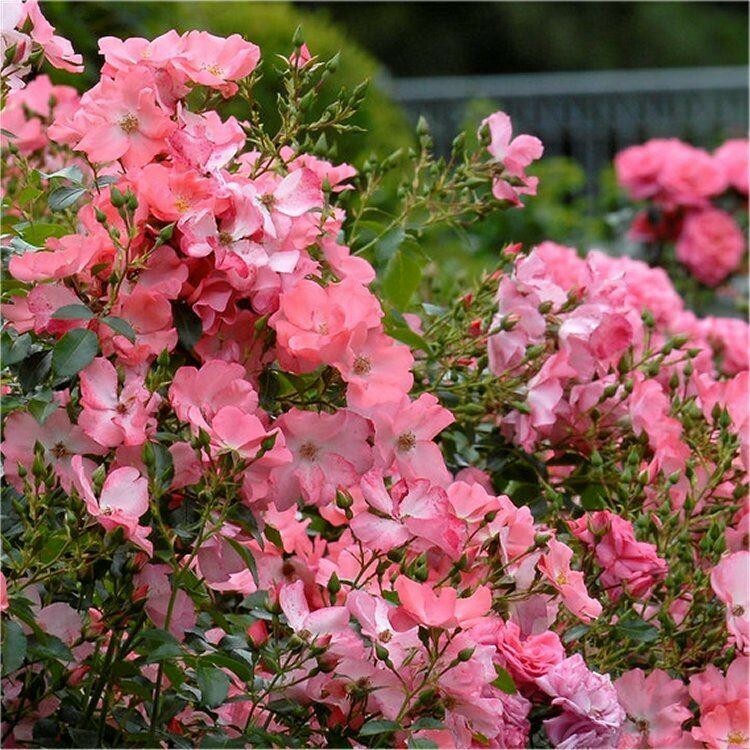 Rose Flower Carpet Coral - 2,000 flowers a year! First released in 2002, this caught the attention of everyone who saw it. Single long-lasting blooms of the most exquisite soft Coral entrance you, slowly changing colour as they age. Compact and a little more upright with less spreading than the others, it quickly establishes itself once planted in the garden. Single blooms begin soft exquisite coral, lighter towards the centre with antique gold stamens. As the flower ages it intensifies in colour to a rich coral, making a stunning looking plant. 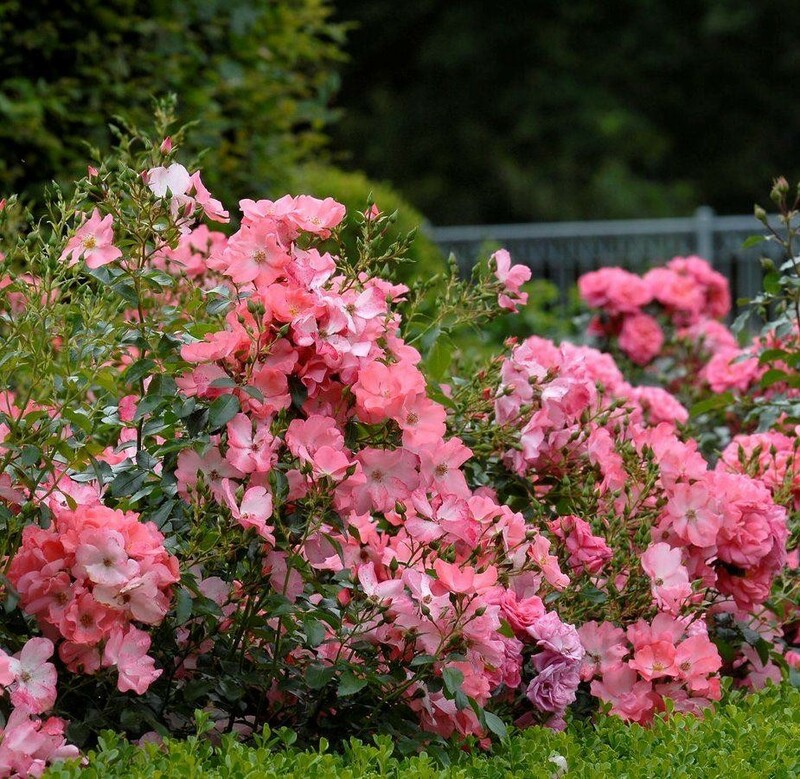 Like all Flower Carpet plants, the flowers come in abundance, with 20-30 open flowers at the end of each branch. Established plants have no trouble producing over 2,000 flowers throughout the season. Supplied in approx 3 Litre containers.